Cancer Support Community Pasadena recently held its seventh annual Ladies Night Out fundraiser at the Rose in Pasadena’s Paseo Colorado. Nearly 240 guests were on hand to enjoy the tiki-themed evening of entertainment, laughter and commemoration. The celebratory benefit was created to honor the courageous women who have been touched by cancer. 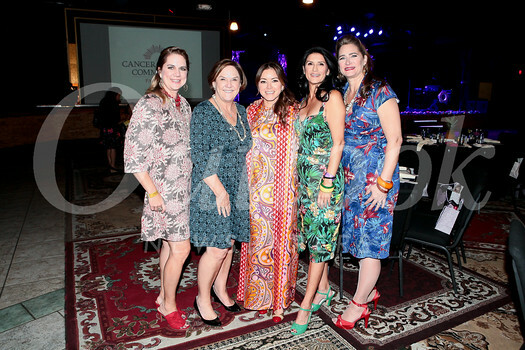 The event raised more than $172,000 and was co-chaired by Samantha Knight, Michelle Mendez and Lyn Salembier, with honorary guest speaker Caroline Rose. Game booth sponsors included Brighton Collectables, Trina Turk, the Rose and many generous donors from the community. Funds raised by Ladies Night Out are a significant source of revenue for Cancer Support Community, a nonprofit that reaches more than 2,000 people in the Greater Pasadena community annually.